Why does my dentist use a rubber dam? A rubber dam is a thin piece of latex rubber that is stretched over a metal clamp that is placed on or near the tooth to receive treatment. The rubber is held tight by a metal or plastic bow. The teeth to receive treatment protrude through holes placed in the rubber. Routine fillings were first routinely done using a rubber dam in the 1930's. Usually when a rubber dam is to be used, the dentist will anesthetize (freeze) the area first and then either the dentist or a dental assistant will place the rubber dam. From a treatment perspective, there are several important advantages in using a rubber dam. These include: 1) Separation of the tissue surrounding the treatment area from the drill and other instruments, 2) Easy maintenance of a dry field, and 3) Reduction of time required to complete treatment. Many people have a strong and active tongue, high floor of the mouth, or cheeks and/or lips that move into the treatment area when the mouth is opened. Without a rubber dam, these tissues are held out of the working area by a mouth mirror or the fingers of those completing the work. Holding the tissues in this way is inefficient and can be unreliable. The rubber dam completely removes these interfering tissues from the area thus making damage to any of them very unlikely. A dry field is absolutely essential for certain types of work to be done. White fillings require a totally dry field in order to achieve a bond. Metal fillings do not require a dry field to be placed, but if they are placed dry, their resistance to corrosion and their strength is increased significantly. Additionally, endodontic work (root canals) require a dry field in order to keep saliva from entering the canal (nerve) area of the tooth. Saliva contains primarily aerobic (oxygen-using) bacteria while an abscess in a tooth requiring a root canal contains primarily anaerobic (not using oxygen) bacteria or a type of bacteria that either can use oxygen or can grow without it. Mixing air breathing and non air breathing bacteria in the canal of a tooth can lead to time consuming and painful complications in completing a root canal. For this reason and others, a rubber dam is considered the standard of care in Endodontics (root canals). 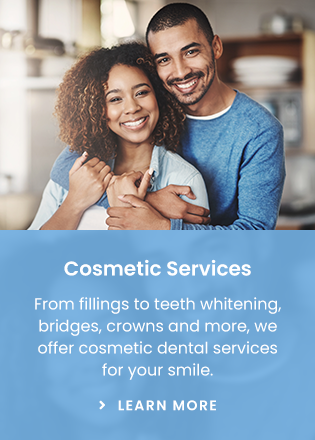 Both the dentist and the patient are interested in minimizing the time required to do a filling, crown, or other dental work. Sometimes due to the type or location of work to be done, use of a rubber dam is not possible or can make the work more complicated. However, for most routine dentistry, a rubber dam will decrease the amount of time required to get the work done and decrease its complexity. The dentist treating a patient wearing a rubber dam concentrates only on the treatment at hand instead of the distractions of a tongue, lips, cheeks, and saliva also competing for the same space the dentist is trying to use to get the job done. The patient benefits from use of a rubber dam by an increase in the quality of the restoration, as well as an increase in its strength. The patient also benefits from the use of the rubber dam because he does not have decay and "silver" dust spread liberally about the mouth when the decay or old filling is removed. This makes the treatment more comfortable. The treatment is also safer since the surrounding tissues cannot enter the treatment field to possibly be damaged by the instruments being used. Added to this, is the fact that treatment time is reduced thus benefiting everyone. From a treatment perspective, if a rubber dam can be placed, many advantages are realized for both the dentist and the patient. Ask your dentist about the use of a rubber dam.